Run through corridors, shooting down aliens with your pistol, machine gun and rocket launcher. Slay them all! Amazing 1st person 3D shooting game. Welcome to the alien slayer corp training facility. We need to know if you are fit for combat. Slay the aliens and destroy their eggs to complete your training. Be prepared soldier! Collect ammo for the rifle and RPG guns. And Medkits to regain your health. Find colored keys to open the colored doors. Aim and fire with the green dot by using your mouse. 1,2,3 or mousewheel to select weapons. Collect ammo for the rifle and RPG guns. And Medkits to regain your health. Find colored keys to open the colored doors. Kill the aliens faster by aiming for the head. Kill the aliens as fast as possible when they appear to earn bonus points (xp). Kill the aliens (except the eggs) with your pistol to earn xp bonuses. Not recommended for beginners. Know your strengths and weaknesses and improve your character accordingly. If you want to play Alien Slayer 3D games online you have come to the right place! 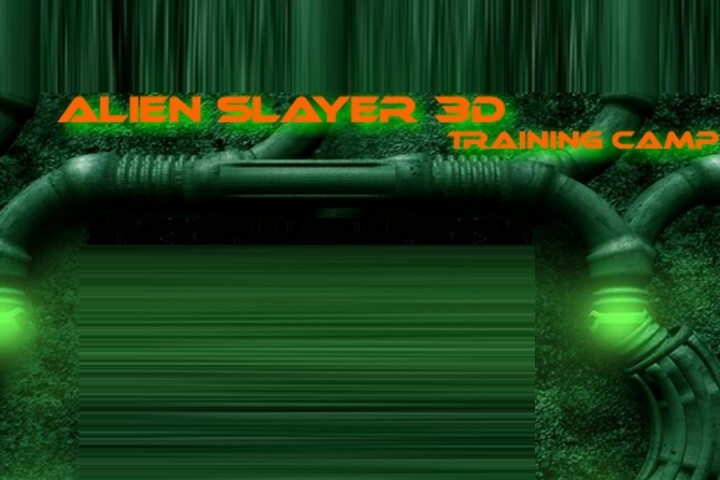 GamesLoon adds new Alien Slayer 3D games every week. This is your game portal where you can find the biggest collection of free Alien Slayer 3D games online. Do not forget to rate our Alien Slayer 3D free online games while playing!